Keeping a home organized requires teamwork. 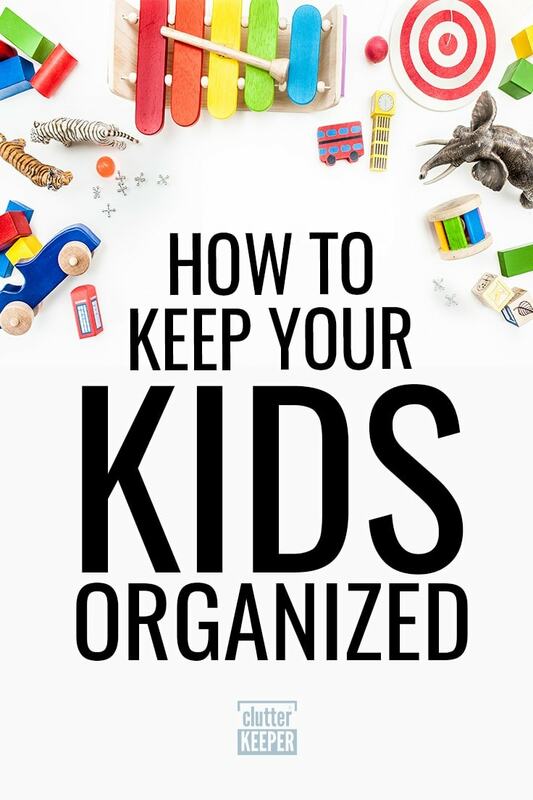 Learn how to get your kids organized with these simple tips. The most important one: model what you teach. If you are ready to start living in a tidy home, then you already know how important it is to teach your kids how to be organized. So let’s look at some of the hurdles to overcome as you try to teach them. These tried and true tips to get kids organized will help you along your way. Raising organized kids can be quite simple, but it might not seem like that at first. Don’t be discouraged – keep at it. In fact, the struggles you feel are probably super normal. Here are the 3 most common hurdles you might experience as you try to teach your kids to be organized. Keep in mind, some children are just more excited about living in a tidy space and others struggle with it. As with all things parenting, do what works for your parenting and your child. These are generic observations that lots of parents experience, but they don’t necessarily apply to every child. The first thing you might run into when you try to teach your child how to stay organized is the attitude. Maybe they don’t want to change or don’t like change. Maybe they don’t want to put forth the effort to have a tidy space (like their playroom). You might have to address and fix the attitude before you are able to encourage a new way of living. Spend some time talking with them and try to figure out what they don’t like about the changes. Do your kids hang on to too much of their stuff? Maybe they don’t want to let go of any of their clothes, or maybe they are attached to things that hold memories. The most important thing you’ll need to make sure your children understand is that there is only so much space in a room. Keeping more things than you have space to properly store or display will lead to the items being crumpled, forgotten, or destroyed. After you explain how important organization is, maybe show them where to keep what they treasure and walk them through the steps of letting go of others. Penny Pinchin’ Mom has a fantastic article about how to teach your kids to let go of stuff. It’s a really great resource if you are starting out for the first time. Unfortunately, this is a problem that is difficult to overcome. 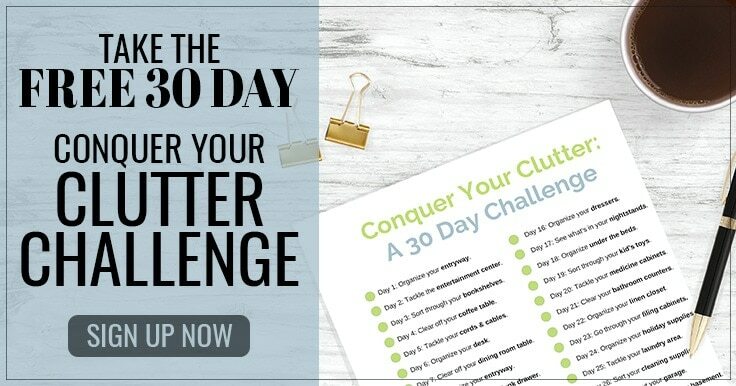 When you are trying to live in a space that is too small, keeping everything organized is even more important – but it is also so much more frustrating. If this is your situation, then give some plastic tubs with lids to each child and explain that they can only keep things in their room that they use all the time. If it is seasonal or a memory, it has to be stored safely so it won’t be hurt or ruined. You might be able to find some creative storage solutions – like under the bed organizers or ones that hang on the back of the door. This can help, but even more helpful is donating things they don’t use anymore or grow out of. Now that you know the 3 biggest hurdles, what are the ways to get through them? You’ll need to be creative and tap into the mind of your children. The following tips are generic and can give you some inspiration, a place to start. Take these ideas and turn them into actionable steps that will work with your unique children. Do you know what motivates your child? Just like adults, each child is motivated by something different. Perhaps your kid is trying to save up for a large purchase. Or maybe they thrive on praise from you. Explore a different motivator, spread out over time. Some parents found success at offering a financial reward for keeping things where they belong and cleaning their room. Others have kids that thrive on public praise, so a social media brag does wonders for their self-esteem and desire to keep their stuff organized. If you try something to get your kids organized and it doesn’t work, try something else. It might take a few times, but eventually you’ll find what clicks. As with all new habits, if they don’t see you doing it, they won’t be able to do it either. Live by example. 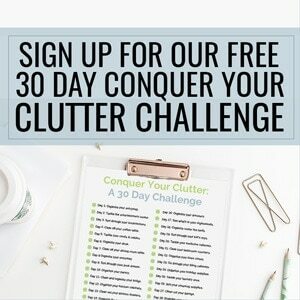 Keep your things picked up and demonstrate how rewarding an organized home is. Do less complaining and more positive exclamations about how wonderful it is when you can find what you need within a few minutes (instead of sorting through piles of stuff). The next tip that will help your child learn the new habit of organization is for you to stay calm and just expect it. Starting a new habit and lifestyle will take time. So when they mess up, just calmly remind them to put things back where they belong. It might take some time, but eventually the new actions will turn into a habit. Plus, when they realize how nice it is to finally be able to find what they need without looking through piles of stuff, they’ll begin wanting to keep it that way. 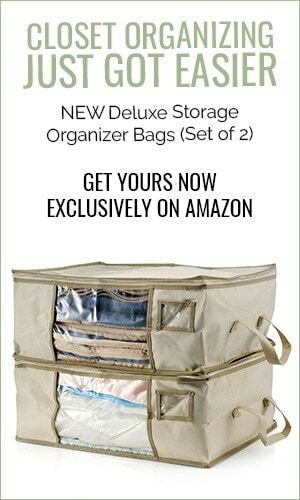 Keep expecting organization as the norm. Kids often rise up to the standards you expect. Check out these tips on how to get your kids to do their chores. Do not create a new system to keep your kids organized and then stop following through with it. It might be tempting to just let it go one week. Maybe you get too busy or life gets out of hand. But when you start ignoring your new systems, you’ll have to start over from square one with establishing new routines and expectations. So stay consistent. You’ll see them pick up on the new habits faster if you stick with it too. Maybe you can invite your kids’ friends over and then tell your child that you bet their friends will love the cleaner room. Or when you go an entire week and keep putting things where they belong, congratulate each other. You can also create small goals and establish rewards. For example, if you keep the living room completely tidy and picked up for an entire month, go out for FroYo together. These tips to keep your kids organized are just suggestions. Try them out and be creative – find something that works with your family. Even if you have a large family, you can find the right solution. Teaching kids how to be organized might be tough at first, but it is definitely worth it. An organized home is a happy home. Family Organization Ideas – The most important thing to remember as you organize your family is to always keep the people as the most important priority. Essential School Organization Tips That Will Save Your Sanity – Getting the kids out the door in the morning will go more smoothly after you read these ideas. 13 Family Command Center Ideas to Keep Everyone Organized – These shockingly simple ideas will help you keep track of everyone and their activities.